With the release of the Apple Watch around the corner, one advertising platform aims to be the first to provide mobile ads to users' wrists, unveiling a platform with hyper-local targeting and Apple Pay integration. TapSense mobile ad exchange announced this week the debut of the first programmatic ad platform for Apple Watch. Its software development kit includes tools for app developers, brands, agencies, and marketers. A key feature of TapSense's platform is hyper-local targeting, which the company believes is a natural fit for wrist-based ads. 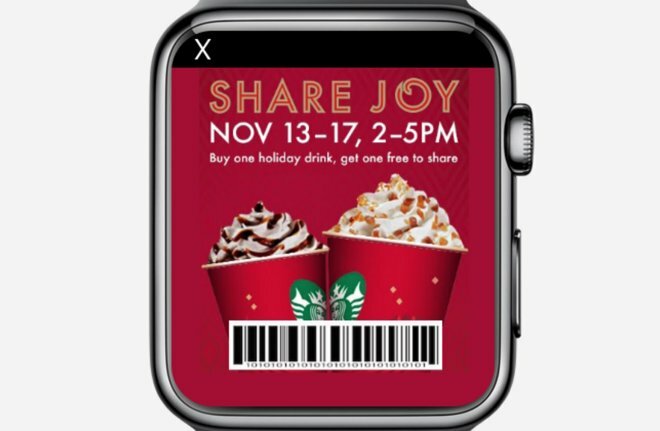 Leveraging the GPS of a connected iPhone, TapSense's Apple Watch ads will deliver contextual local offers such as coupons from a retail store. In addition, TapSense is also pushing Apple Pay integration, allowing users to redeem coupons and other offers directly from their wrist. TapSense views the Apple Watch as an ideal way to deliver hyper-local ads to wearers. "Wearables and Internet of Things (IoT) are the next frontiers in the mobile revolution. We are excited to announce industry's first programmatic ad platform for Apple Watch developers and brands," said Ash Kumar, co-founder and CEO of TapSense. "While most of our competitors are focused on banner ads and legacy platforms, we are focused on innovation and next generation platforms. Apple Watch has the potential to be a category disruptor similar to iPod or iPhone and we believe that it provides great opportunities for brands and developers to deliver engaging experiences to consumers." TapSense is also pushing interactive formats for ads that will go beyond traditional Web banners. The company claims its SDK leverages new interfaces supported by the Apple WatchKit developer tools, such as watch faces, glances, and full-screen experiences. "For an iOS developer, Apple WatchKit provides familiar tools and APIs as well as exciting new user interactions such as Glances and Force Push. Developing an app for the watch is the same as writing any iOS extension," said Amit Manjhi, co-founder & CTO of TapSense. "We can't wait to see all the cool apps that developers build and how they leverage the TapSense platform for Apple Watch."